A special edition of Policy in Focus, a United Nations Development Programme report released in April, is urging BRICS countries to focus on generating employment opportunities for youth as a means of meeting development projections. Youth and Employment in the BRICS, written by regional experts, is dedicated to the analysis of how social programmes in Brazil, Russia, India, China and South Africa promote youth employment. This is particularly poignant when considering that UN statistics hold that the world is witnessing the greatest number of youths in human history: In 2014, there are more than 1.2 billion people between the ages of 15 and 24. Finding employment for such an unprecedented number of young people is a global challenge, the UN says, and developing countries especially should factor these demographics into future planning about job creation mechanisms. Programmes to create jobs for young people in the BRICS countries fall into three broad categories: workfare; technical or professional training, and access to credit to promote self-employment and entrepreneurship. Workfare programmes are particularly important in South Africa and India. South Africa’s Expanded Public Works Programme (EPWP) has a quota of 40 per cent of its positions for young people and also offers some on-the-job training. South Africa, which faces the biggest challenges in terms of youth unemployment among the BRICS countries, already has a multitude of social programmes in place which are designed to alleviate the burdens on young people. In his article on South Africa’s safety nets for youth, Avinash Govindjee of Nelson Mandela Metropolitan University says that Pretoria has responded to the challenges of poverty, unemployment and inequality – all of which are interminably linked – by increasing the scope of social grants and increasing public works programmes. He cites the South African government’s acknowledgement that youth employment is a national strategic priority as the reason why it has set a target of creating 11 million jobs by 2030. But South Africa must first overcome the fact that youth are still largely excluded from work opportunities – a “striking disconnect” in society, he says – making the Rainbow State lagging far behind its BRICS partners in creating job opportunities for them. According to Statistics South Africa, “45 per cent of 18–25-year-olds are currently not in education or training”. When it comes to ‘disconnect’, authors Marianne S. Ulriksen and Lauren Graham of the Centre for Social Development in Africa at the University of Johannesburg argue that there is a lack of “integrated” government support to help youth become viable members of the economic work force. “It is argued that this is largely because public strategies targeting youth are fragmented and poorly linked to social policies. New ways that safety nets can be better integrated with other strategies are suggested to support young people in the difficult transition to employmen,” they write. Ulriksen and Graham highlight social safety nets that South Africa is currently implementing. For example, low-income students are offered the National Student Financial Aid Scheme (NSFAS), a loan system which pays for post-secondary education fees. In addition, the National Youth Development Agency (NYDA) provides training opportunities and entrepreneurship grants, while the Expanded Public Works Programme (EPWP) “is a de facto cash-for-work programme that includes a quota of positions for young people and is intended to include training”. Ulriksen and Graham argue that these programmes are pertinent but fragmented and sometimes, inaccessible to the majority of young people seeking work. In India, the Mahatma Gandhi National Rural Employment Guaranteed Act (MGNREGA) has created the biggest workfare programme in the world. While it does not specify a quota for youth like some other BRICS countries, it does succeed in actively employing young people. Jayati Ghosh of the Centre for Economic Studies and Planning at Jawaharlal Nehru University argues that social policy has not been used a focal tenet of development strategies. He says that groups who have found political voice have made demands of the government which in turn created “ad hoc” responses to deal with employment slack and social labour productivity. 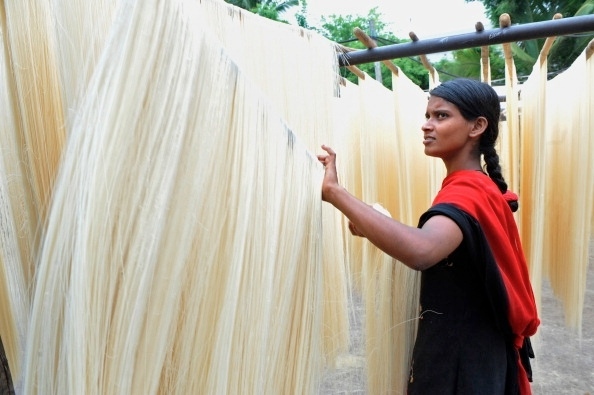 Ghosh says that a government rural employment guarantee programme has tackled the lack of sufficient employment generation and economic diversification – which he argues are “major failures of successive growth trajectories in India”. Some 50 million rural households benefit from the programme which guarantees on average approximately 45 days of employment every year. This comes as a complement to India’s agrarian reforms, education and creating employment opportunities through public works. The Indian government has also used affirmative action as a social policy for employment in public services and scholastic institutions. Employment-intensive social policies can reverse these trends, he concludes. China’s workfare programmes began in earnest some 30 years ago, when the government initiated the nationwide Yigong-daizhen (‘To offer job opportunities to replace sheer relief’) programme. “Estimates suggest that currently 70 per cent of jobs are allocated to youth. There are also important youth capacity- building initiatives for less developed counties, and other initiatives to provide employer incentives to hire substantial numbers of otherwise would-be- unemployed youth,” says the UNDP report. While he acknowledges that social protection mechanisms have a short-term adverse effect on economic growth, one of the reasons China has backed away from such large-scale efforts as creating a safety net, Minquan stresses that the long-term effects will eventually pay off. “Two key channels of human capital accumulation are investments in health and in education. Both these types of investments can be supported by social protection provided to people with a low income,” he writes. He says that China – and its rapid economic growth over the past three decades – has arrived at a crossroads where critical decision-making will have to factor in the rapid urbanisation witnessed in many regions throughout the country. “Among the challenges it faces, the most important one is how to unify the two key parts of the system – that for the urban residents, and that for the rural farmers,” he says. Minquan argues that China must implement policies to unify social protections offered to both local and migrant populations. “Aside from the deeply ethical issues these divides inevitably raise, there are also issues about the economic impact these divides have on the continued development of the economy,” he warns. Russia’s experience regarding creation of jobs and employment opportunities is somewhat different from its developing country partners in BRICS. According to the UNDP report, Russia launched a new approach to promoting job creation n September 2013 and called it the New Employment Programme. The new mechanism aims to focus on job creation in previously overlooked sectors – among youth, persons with disabilities and in what the country has classified as depressed regions. “It is expected to benefit 100,000 Russians in 2014 alone through annual funds to support employment generation,” the UNDP says. In their essay on Russia’s youth employment opportunities, authors Alexandra Karpova of the Universitat Autònoma in Barcelona, Anna Bilous of the University of Cambridge, and Michael MacLennan of the UNDP argue that education could be the government’s ace in the hole as a means to lessen the inequalities between youths living in different regions in the country. Education, they say, is one of the most significant pivots to positively influence how successful Russian youth will be in entering the job market and maintaining their employment status. Local statistics agency Rosstat says that in December 2013 the rate of unemployment among young people 15–24 years of age was 20.73 per cent, and the highest levels of youth unemployment were focused in the Republic of Ingushetia, the Chechen Republic, and Republic Tyva. Furthermore, despite Russia’s persistent economic growth since the 1990s, the Russian Academy of Science estimates that 30 per cent of the population is still living in poverty. “Moreover, there continue to be significant disparities in living conditions and broader life opportunities among young people living in different regions of the country. High levels of inequality between regions as well as between households and individuals can dramatically affect many young people due to the economic situation of their respective regions, as well as their socio-economic or family profiles,” the authors write. Despite the disparities, most unemployed Russians appear to gravitate toward to the Russian Employment Service to look for new employment. This, the authors argue, shows that the Russian government’s efforts appear to be gaining tract with job-seeking youth. Their report apparently shows that the Russian government has not been resting on its laurels since President Vladimir Putin launched an ‘education first’ drive in 2005. In September 2013, Russian Deputy Premier Minister Olga Golodets announced the country’s new employment programme as aforementioned would use annual funding of RUB45 billion ($1.28 billion) over three years. “Funds will be used to encourage entrepreneurs to hire socially vulnerable groups (residents of depressed regions, young people, first-time job seekers, and persons with disabilities),” their report showed. Brazil stands out from the rest of the BRICS members because it does not have a workfare programme, rather investing heavily in training programmes. According to its Plano Plurianual (PPA 2012–15), there are 16 federal youth-oriented programmes. A Brief Overview of Youth Turnover in the Brazilian Formal Labour Market jointly written by Carlos Henrique Corseuil and Miguel Foguel of the Institute for Applied Economic Research (IPEA), Gustavo Gonzaga of the Catholic University of Rio (PUC-Rio) and Eduardo P. Ribeiro of the Federal University of Rio de Janeiro (UFRJ) reveals that it is not hard for a young worker to enter the labour market in Brazil. “In any given year the number of young workers hired as a share of the age category is double the figure for adults. The average 92.6 per cent hiring rate for young people suggests that for any 10 employed youths, nine were hired over the course of the year, allowing for the same person to be hired more than once over the year,” the authors write. 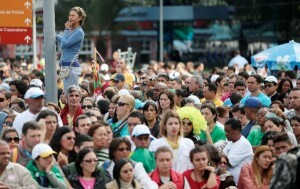 Brazil’s challenge, however, lies in how long youths can maintain their jobs. The authors argue that young people will quit or be laid off. “Younger workers lose their jobs far more frequently than older workers. The separation rate, which measures the number of workers leaving their jobs, either because they were fired or quit, relative to the number of employed youths is as high as 72.4 per cent,” they write. They propose a number of solutions including the creation of national incentives and subsidies which reinforce the relationship between hiring companies and youth and allow for their tenure at their jobs to be extended. This would be complemented through the reiteration of training programmes and facilities that benefit both the workers and the hiring companies. The focus here would be to correctly and efficiently pair youth workers with companies that provide the “best fit” and can therefore assure longer tenure.